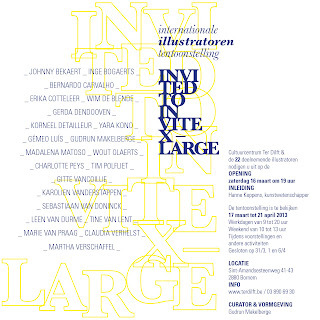 Expo "Invited to Invite XL" - A group expo with Belgian and international illustrators, organized by Gudrun Makelberge. The show will run from 16 march until 21 april in CC Ter Dilft, Bornem. 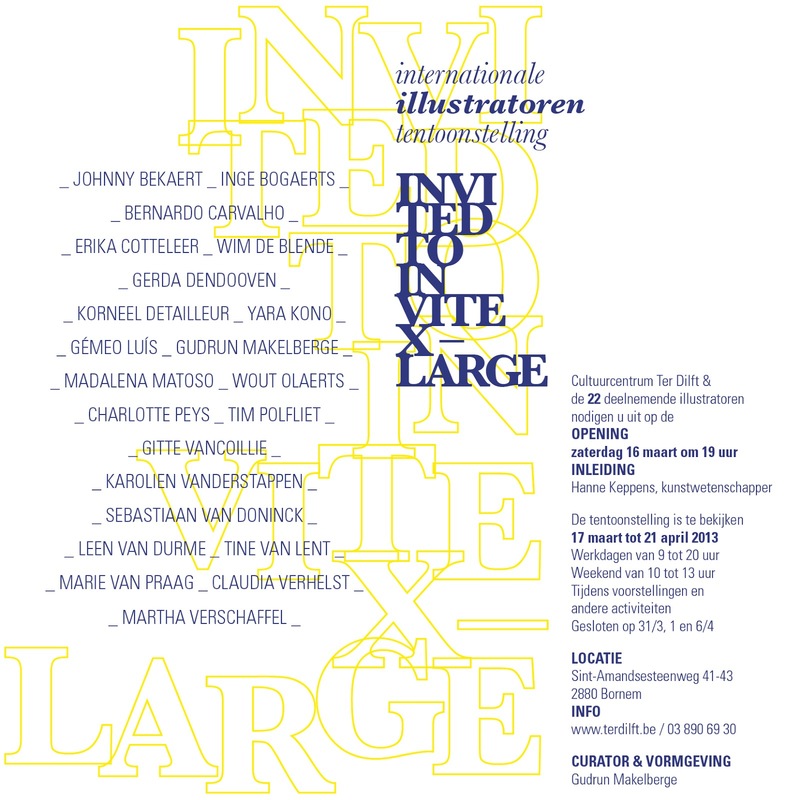 Everyone is welcome on the opening on the 16th of march!